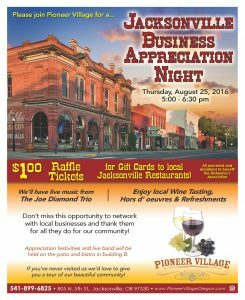 Please join Pioneer Village for our annual Jacksonville Business Appreciation Night on Thursday, August 25th from 5:00PM to 6:30 PM. 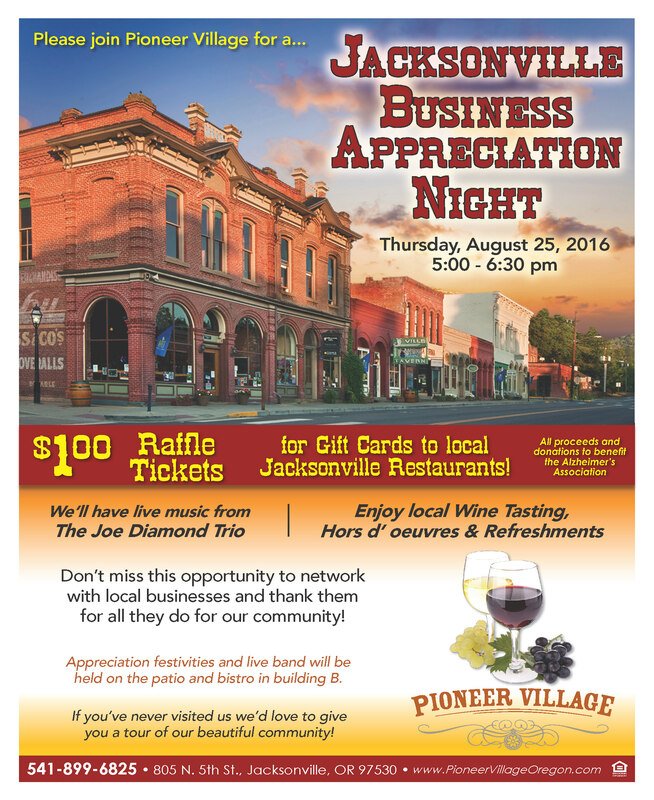 Don’t miss this opportunity to network with local businesses and thank them for all they do for our community! We’ll have live music from The Joe Diamon Trio. In addition to the live band, enjoy local wine tasting, hors d’oeuvres and refreshments! Help support the Alzheimer’s Association by purchasing $1.00 raffle tickets for Gift Cards to local Jacksonville Restaurants!